King Kong just found his leading lady. Last year at San Diego Comic-Con, Legendary Pictures announced a film that will take us back to the place where the giant ape was first discovered. While there is a great deal we don’t know about the film, one thing we do know is we now have a lead actress attached. 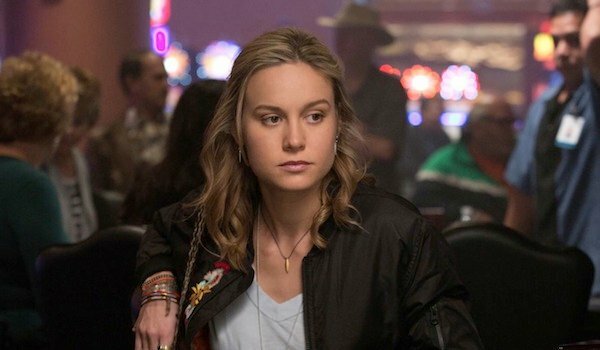 Deadline reports that Brie Larson, most recently of Amy Schumer’s comedy Trainwreck, has signed on to star opposite Tom Hiddleston in Kong: Skull Island. Larson has an extensive and varied resume covering both television and film, comedy and drama. This will, however, be her first role in a large-scale, special effects-heavy blockbuster type film. Since the majority, if not the entirety, of the giant ape action is expected to take place on the island, we figure Larson is safe from being carried up any large buildings. She might want to look out for tall mountains, or volcanoes, however. Larson is now the only lead, other than Hiddleston, to be signed up for the film. After originally getting both Michael Keaton and J.K. Simmons for major roles, both have had to drop out due to scheduling conflicts. No announcement has been made regarding the recasting of either role, although it looks like the script is going through another draft, so there may be significant changes in line for those roles. We also don’t know anything about exactly who Larson, or Hiddleston for that matter, will play. Jordon Vogt-Roberts will direct a script written by Max Borenstein. Borenstein is responsible for the recent Godzilla reboot, so he has some giant monster experience to draw from. Not much is known about the movie beyond some comments Simmons made while he was still attached. Apparently the film will be set in Detroit in the early 1970’s, at least until it gets to Skull Island we assume. The remote island, which serves as the home for King Kong, as well as other beasts lost to time, has always been in the first act of any King Kong related film, but this time Legendary Pictures promises a deep dive into the mysterious location. Certainly, the sky, and the production budget, is the limit when it comes to what sort of amazing spectacles they can create. Once production gets underway, later this year or early next, we look forward to learning, and seeing, more of Skull Island. Larson is already in good company, and if they can find a couple more strong actors who can hold their own against what is set to be a huge CGI adventure then we may be in for quite a ride when the film hits theaters on March 10, 2017.